A successful first phase completed on Sunday 12th June; Pakistan’s Arif Khan returned to the Solomon islands on Saturday 27th August to conduct the second part of an Olympic Solidarity supported Developing a National Sports Structure Course. Organised under the auspices of the ITTF Development Programme, the visit concluded on Friday 16th September. Honiara, the capital city was the home for proceedings. Medallists at the first National Championships with (third from left) Arif Khan and (back row far left) Aldrin Bekala (Photo: courtesy of Arif Khan). During the first phase, which had commenced on Saturday 14th May, Arif Khan had visited 30 schools and had introduced table tennis to boys and girls between the ages of eight and 12 years of age. Notably, he had organised a training camp where he had been able to teach the basics of table tennis. Additionally, for potential coaches he had conducted an ITTF/PTT Level One Course. Notably 11 coaches had passed test. The second phase was to continue the good work. 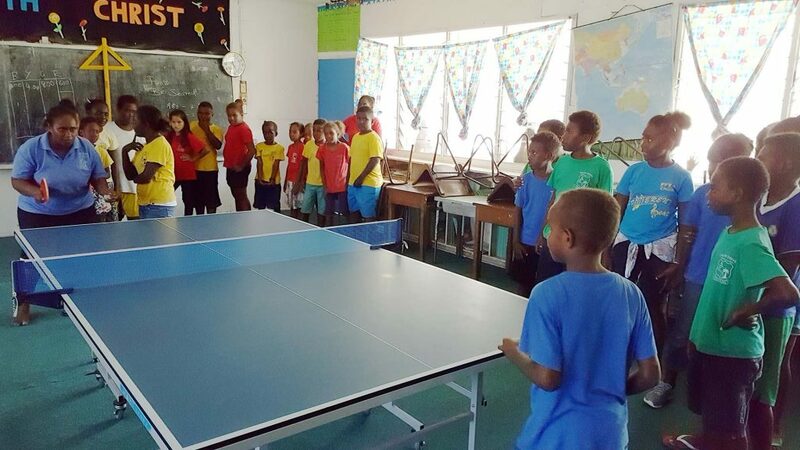 “One of the things that I did in conjunction with the Solomon Islands Table Tennis Association in the first phase, was to create an understanding with those schools who were ready to co-operate with the development work”, explained Arif Khan. In addition to introducing the sport to the pupils; the schools concerned each sent one teacher to attend the ITTF/PTT Level One Course. 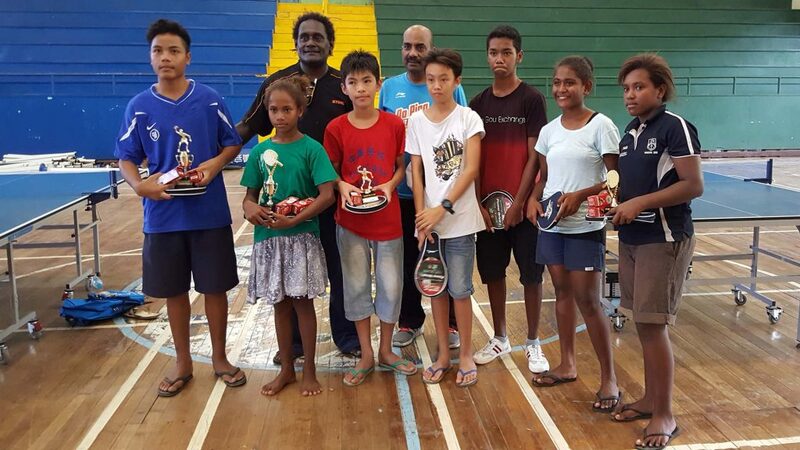 “Furthermore, the Solomon Islands Table Tennis Association agreed to provide those schools with a table, rackets and balls so that the children could play table tennis and help the sport flourish”, added Arif Khan. 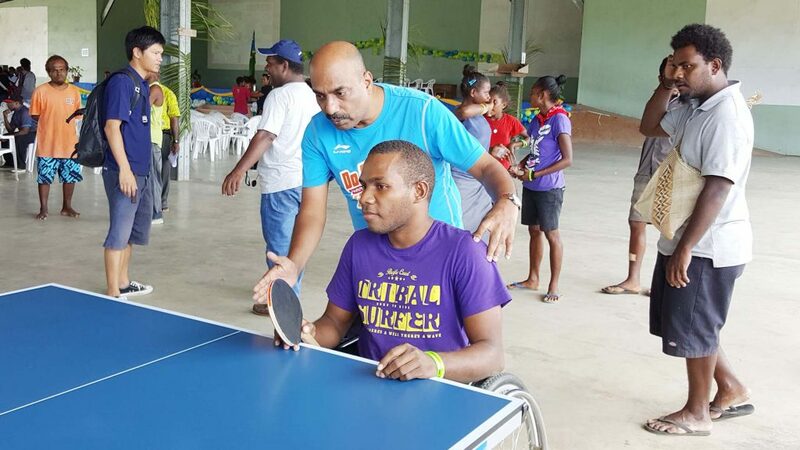 Aldrin Bekala, President of the Solomon Islands Table Tennis Association received some 40 new good quality tables from the government of Solomon Islands; the job was to organise the distribution of the tables. Equipment delivered, during the second week, Arif Khan visited the schools and was pleased with sights that unfolded before his eyes. The progress meant that Arif Khan was able to organise two inaugural tournaments; the National Championships were staged on Thursday 8th and Friday 9th September with four events being held, Men’s Singles, Women’s Singles, Junior Boys’ Singles and Junior Girls’ Singles. 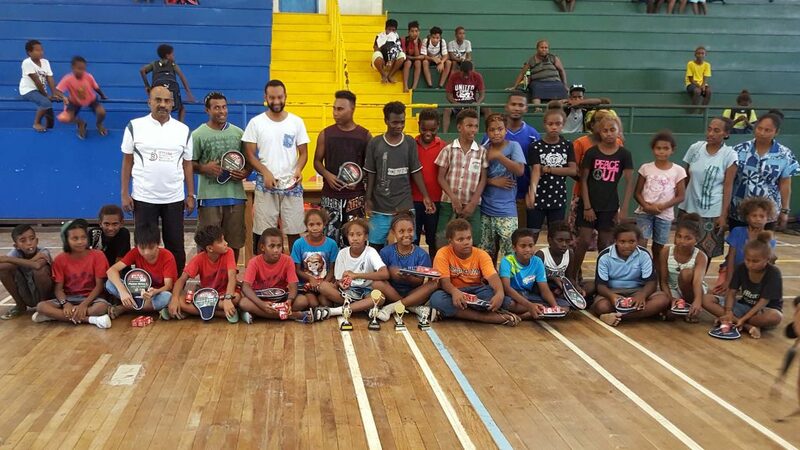 Next from Tuesday 13th to Thursday 15th September, the Honiara Inter-Schools Team Championships for boys and girls under the age of 12 years was held; an event in which 20 schools participated. Additionally, Arif Khan was also involved in Para Table Tennis. A full schedule and it proved a very rewarding experience for Arif Khan. 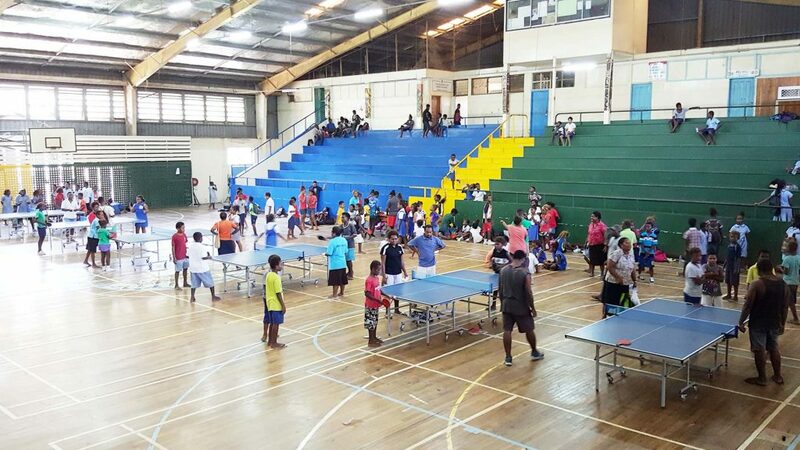 In addition the Solomon Islands National Olympic Committee and Solomon Islands Table Tennis Association expressed its gratitude to Olympic Solidarity and to the International Table Tennis Federation for being awarded the course. Notably they thanked Michael Brown, the ITTF Africa-Oceania Coordinator and Glenn Tepper, the Deputy Chief Executive Officer.